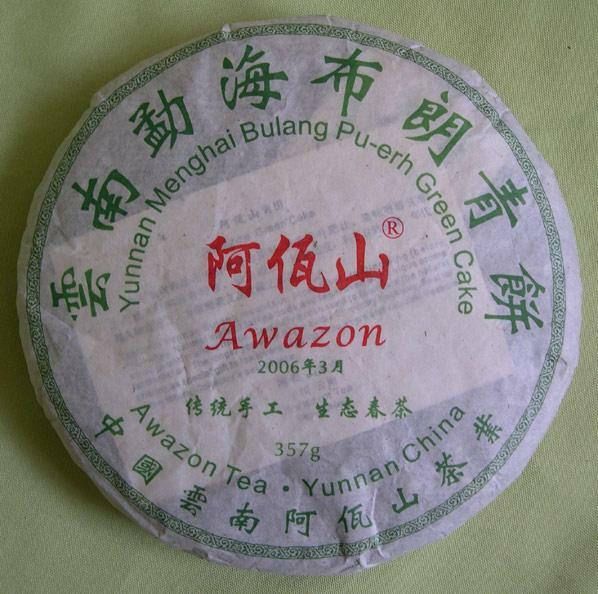 Kunming Awazon Tea Co., Ltd.
Bulang mountain is one of the famous tea mountains in Menghai county, Yunnan, China.The Maocha (sundried large-leaf tea, as material for making raw Pu-erh tea cake) harvested in this area gives distinctive features of strong flavor and lingering aftertaste. 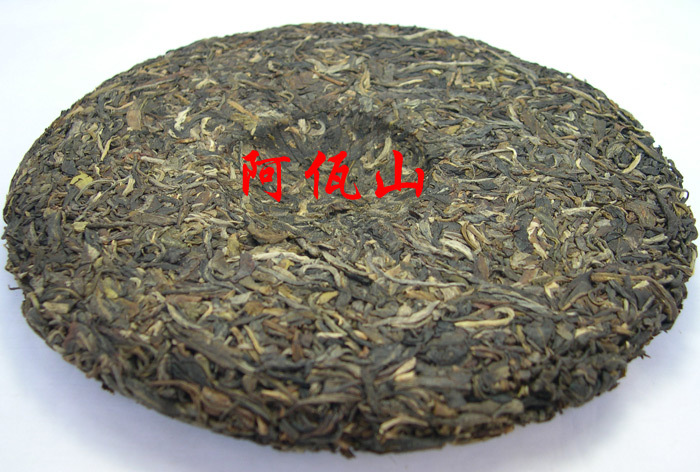 This raw Pu-erh tea cake is manufactured by using early spring old tree tea from Bulang mountain, 100% pure material (not blended). 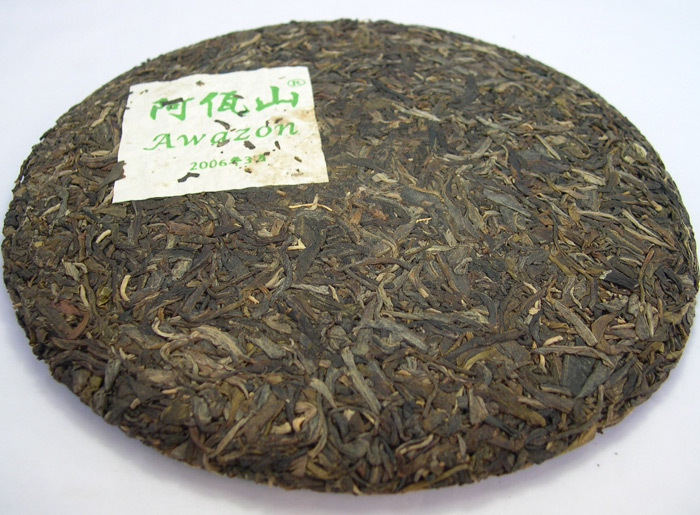 Step 1: Pry 2g tea off with Pu-erh Knife and add tea leaves to a Yixing teapot or Gaiwan. Step 3: Fill the teapot with boiling water again, cover the lid. 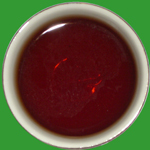 After steeping 8 seconds or longer (according to your desired strength), the tea can be poured into a tea pitcher to be served. Step 4: repeat Step 3 for seven or eight times. Gradually increase steeping time for subsequent brewing.